« Main Avenue. August, 2013. This looks like the Funtown Pier one that was destroyed in the fire. It originally had wooden horses that were sold off and replaced by these plastic ones in the ’80’s, (just like what happened to our Casino carousel). 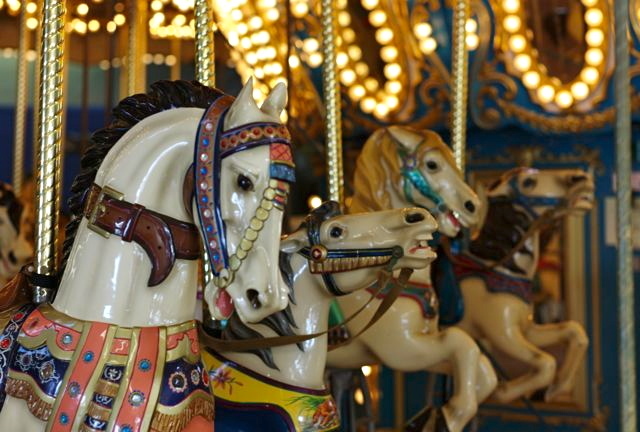 In addition to horses, the surviving Seaside Heights Casino Pier carousel has other hand carved wooden animals, (a camel, among other things), as did the old OG Merry-Go-Round. There’s exactly one more original wooden one in NJ, in Ocean City.